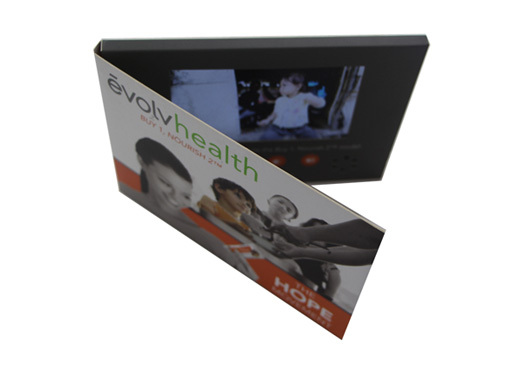 Video brochures provide the perfect opportunity for you to stand out to your potential clients. The healthcare space is massively competitive, and whether you are selling to businesses or directly to consumers you need to showcase your products / services in a way that is going to ensure you are seen and most importantly remembered. Video Brochures combine traditional print brochures with a smart LCD screen which when you open plays your business videos to your customers to give them a clear idea about what it is you offer and how it can help them. The video brochures can play multiple videos for up to 120 minutes of video content. We approach the video brochure market with a point to prove. We want to make it as easy as possible for all our clients to understand the product, sample the product and ultimately then purchase the product. The order process is incredibly simple, hit the banner at the top of our website and order a free sample. Once you have seen and tested the product, head onto our website and you can either buy your brochure order directly through our video brochure shop or get in touch with us on email and we can process your order. Typically orders take around 10-15 days to process, however, if urgent, for an additional cost you can process this through quicker. With a video brochure, you will stand out from your competitors. 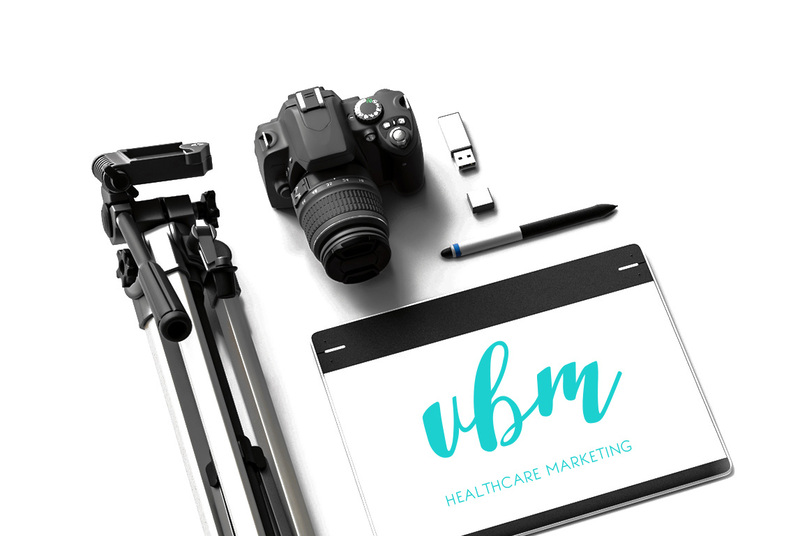 At VBM we have extensive experience in the healthcare marketing space and through our parent company, SoBold, we have the knowledge and know-how to produce marketing material that is going to make a difference. All our brochures are totally bespoke and we work with our clients to understand their needs to ensure we produce the perfect video brochure. 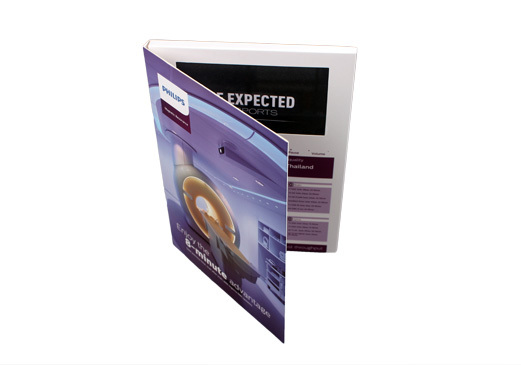 Dependant on your requirements, we will carefully consider the quantity of brochures you will need, your budget and the turnaround time for your purchase order. The brochure and material is entirely customisable to the smallest bit of detail. We offer different brochure sizes, different screen sizes, different print finishes, different battery sizes and much more! With such a broad range of button interfaces and screen sizes, we can advise you on how your brochure can be branded to achieve the maximum impact, outside and in. Many of our clients have an in-house design team and if this is the case we are happy to send brochure templates for you to design your brochures in-house and we are more than happy to give you help along the way to design the BEST possible brochure. Our brochures have a special IPS screen LCD technology which ensures all video content will be seen in the highest definition without any limitations of viewing it at different angles. We offer a video production service for our clients which means that if you do not already have an impactful video, we can do this for you! The videos in the brochures are exceptionally important and whether you want to show client testimonials, or showcase your services, we can work with you to achieve this. Our video production team can travel around the UK, and should you be further afield we have trusted partners across EU and USA who will be able to help. 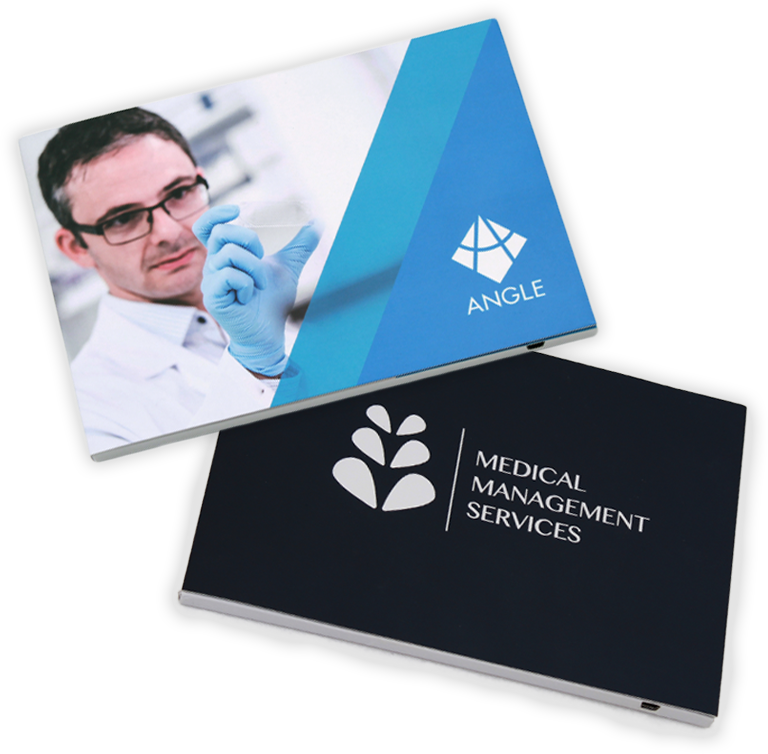 We have worked with lots of different clients in the healthcare space producing smart marketing products. 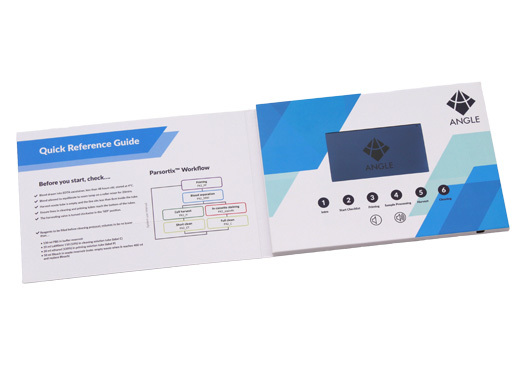 All our brochures are RoHs compliant and made using eco-friendly card. See below some of the different brochure sizes we offer. 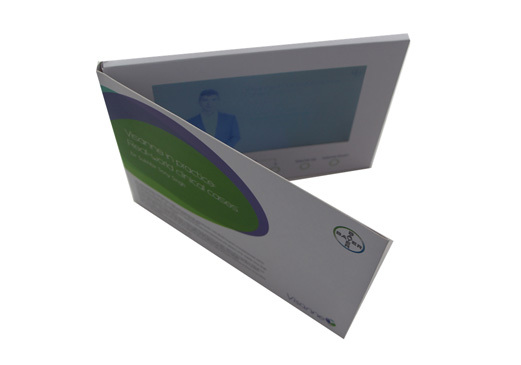 Healthcare Brochure Marketing benefits from our high quality LCD screens for video tutorials, meeting packages or packaged with your USP. Our brochures are designed in-house and then sent to our quality manufacturers in Shenzhen. The lead time for these brochures can be anywhere from 5-20 days depending on the urgency. Below you can see a video of our production process once the brochures have been designed and the purchase order has been made. Using our price calculator you can work out how our video brochures can fit into your marketing budget and find out what specifications you are interested in ordering. Working with our parent company, SoBold, we have worked with a wide range of different clients in the healthcare space. Whether it be private practices, companies selling into the NHS or healthcare companies selling directly to consumers, our video brochures would provide the perfect messaging tool. Yes. We have an in-house Graphic Design team with extensive experience of branding in the healthcare space. 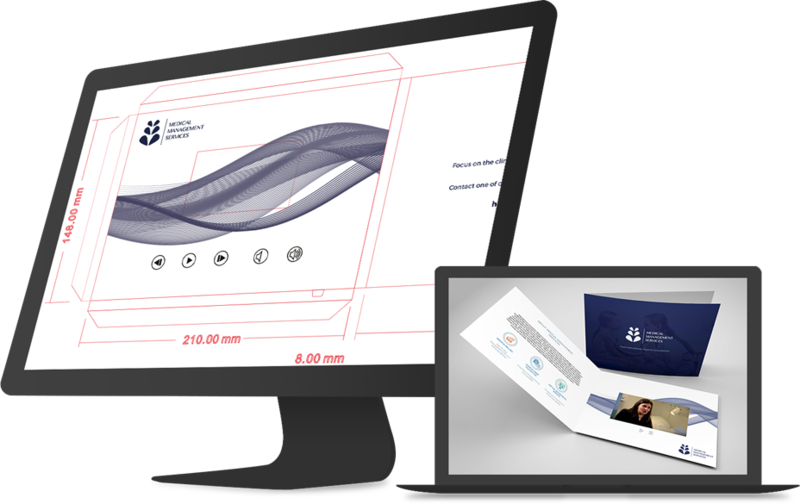 However, if you have a brochure design ready-made we are happy to provide design templates, which are available to download. The templates give you guidance depending on the size of the video brochure. Once we receive your design templates, we will send your video brochures to production. Most demanded size for the healthcare sector are an A5 7-inch IPS LCD screen video brochures, due to its high impact of the video screen. We recommend an A4 video brochure when the medical product/service/company requires much additional print information or instructions. Most of our clients from the healthcare space required memory capacity between 512 MG – 1GB. The video brochures are delivered with a mini USB connection and a small USB cable that can be easily connected to any laptop or other device to drag and drop videos. We can upload the video for you, alternatively, you can upload the videos yourself once you received them. Are there touch screens available for video brochures? Yes. Touch screens are available as alternative to buttons. A popular item in the healthcare space is the A5 7-inch touch screen. It is impressive due to the large screen giving it a touch of a tablet. Customers can choose between 500 mAh standard battery which lasts up to an hour, up to 8000 mAh which lasts up to 20 hours depending on the various screen sizes. Generally speaking the smaller the screen, the longer the battery lasts. For companies in the healthcare space, we understand that information is more sensitive and for those reasons we always recommend locking the video brochure to be in full control of the video content. For healthcare companies, it is popular to upload more than one video, sometimes including one video for the product introduction and another video to give further instructions on how to use the product. This is completely depending on the purpose of the video brochure. Can I upload a slide show from a powerpoint or similar? In the Healthcare space, video content is most popular however if you have another medium that you like to share, most common files are supported by our LCD screen technology.